Since this screen (accessed from the ''Login'' option of the main menu) is not only where you will normally be taken when you are finished with registration, but it is also the first thing you will see in any 'members only' forum. The ''Username'' and ''Password'' fields should be self-explanatory after reading the [[registering|registration]] documentation. ''Minutes to stay logged in'' simply means the number of minutes the login cookie will last before expiring and requiring you to log in again. 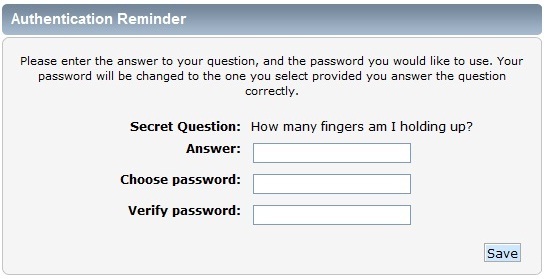 It is not recommended to enter a long time here if the computer is shared, but you might prefer to select ''Always stay logged in'' if no-one else has access to your computer. 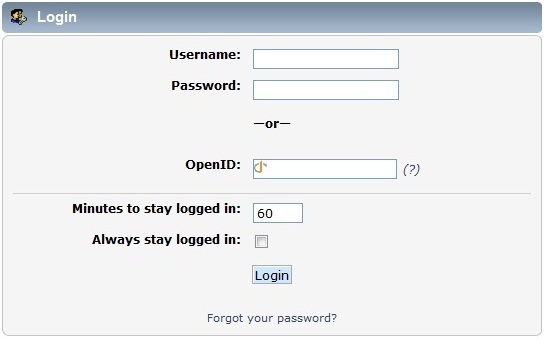 To use the quick login box, you should enter their username and password, select your session length from the drop-down menu, and click ''Login''. ''Forever'', like ''Always stay logged in'', simply means that the computer should remember the you until they next choose to log out, and not that you will be online all of that time. If you're trying to login to the forum but have forgetten or lost your password, you can retrieve it with the lost password tool by following the ''Forgot your password?'' link from the login screen. Page created in 1.544 seconds.